How Much is a Hotel Room in Anoka? 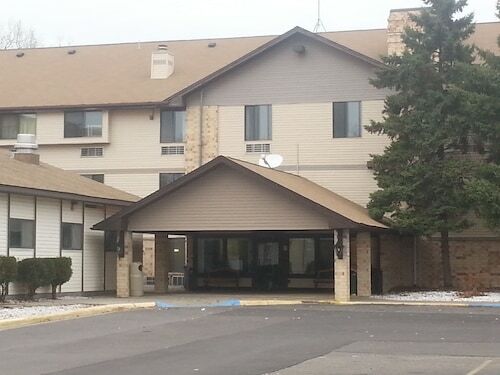 Hotels in Anoka start at $65 per night. Prices and availability subject to change. Additional terms may apply. 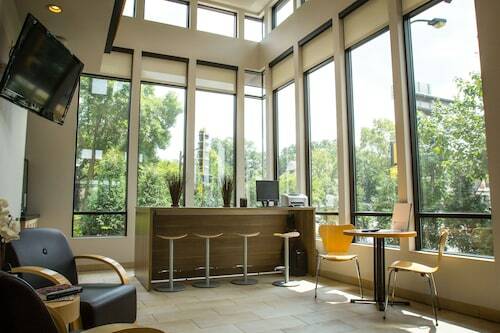 If you are intending on trekking through Minneapolis - St. Paul and get struck by the urge to experience Anoka, you would do well to book as soon as you can through Travelocity to ensure you find the best possible accommodation options. 4 accommodation options are located within a 6-mile (10-kilometer) radius. 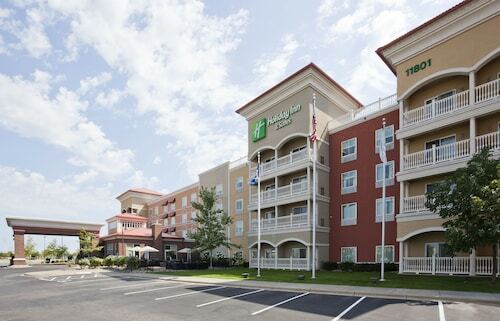 One of only a few places to stay in the vicinity of the attractions of downtown Anoka, is the Regency Inn and Suites, Anoka. 17 miles (28 kilometers) outside of the center of Anoka, you can find the Hotel Ivy, a Luxury Collection Hotel, Minneapolis. 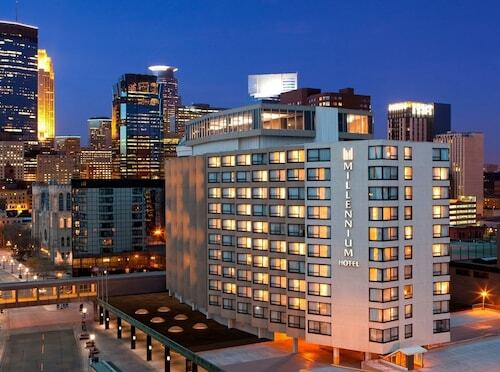 The Residence Inn By Marriott Minneapolis Downtown can be found about 17 miles (27 kilometers) away. 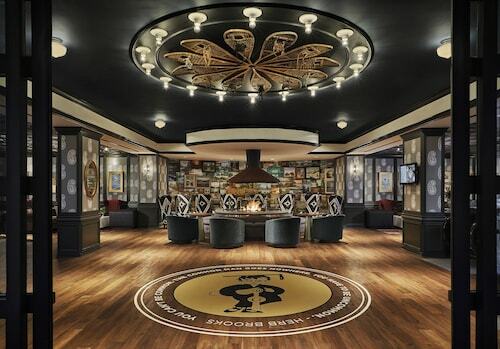 Alternatively you could check out the rates and amenities at the Loews Minneapolis Hotel or the Residence Inn Minneapolis Downtown at The Depot by Marriott. Looking for activities? Spend a few hours exploring University of St. Thomas and Hamline University, in St. Paul, 20 miles (36 kilometers) to the southeast of Anoka. The The Saint Paul Hotel and Holiday Inn St. Paul Downtown are a few of the convenient accommodation alternatives in St. Paul. 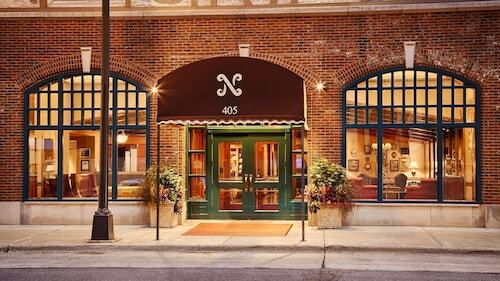 45 miles (69 kilometers) to the southeast of Anoka, you may also choose to stay at Hastings, which boasts the Nichols Inn of Hastings and Val U Stay Inn and Suites. The Alexis Bailly Vineyard and Carpenter St. Croix Valley Nature Center are some more frequented points of interest to see when visiting Hastings. Before you leave Minneapolis - St. Paul, ensure you are able to see a fast-paced game. Swing by Xcel Energy Center, which you can find to the southeast of Anoka. Find a Travelocity-listed room close to the action at the Embassy Suites - St. Paul or the InterContinental Saint Paul Riverfront. Minneapolis - St. Paul International Airport is a major gateway for flying into Anoka. It's located 25 miles (39 kilometers) from the downtown area. For modern travelers who would prefer to stay nearby, book the Radisson Blu Mall of America or Embassy Suites by Hilton Minneapolis Airport.